Motorcycle accident-related deaths have been on the rise for most of the last fifteen years, where the numbers for 2012 estimated have increased 9% over 2011 to over 5,000 fatalities. In Illinois, the death toll increased by an estimated 3% over the previous year. While motorcycle riding has increased, many attributing it partly to higher gas prices and a fallen economy, the increase in deaths does not match the rise in motorcycle registrations. While fatalities more than doubled from 1997 to 2011, the number of registrations has not. Many of these accidents are caused by the negligence of other drivers on the road, taking the lives of thousands of motorcyclists. 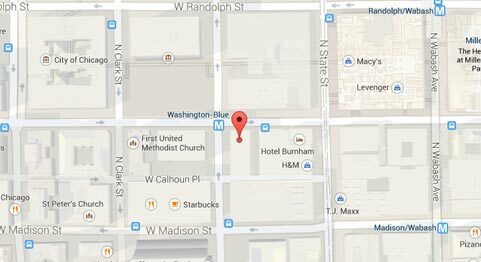 While some motorcycle accidents in Chicago may be attributed to the rider, many others are due to the irresponsible driving of other motorists. 54% of motorcycle fatalities in 2011 involved multiple vehicle crashes, and motorcyclist crash avoidance measures may have caused even single motorcycle crashes. 90% of motorcycle operators and 85% of passengers on motorcycles that were killed while riding were in accidents involving a motorcycle and a passenger vehicle. 35% of the passenger vehicle driver errors in these accidents were failing to yield, compared to only 4% of the motorcycle operators. Although motorcycles are smaller than other vehicles, they are still easily seen when drivers are paying attention and are not distracted. Most accidents happen on non-interstate roads. About 50% of these accidents occurred at an intersection. Over 28% of the drivers of passenger vehicles in the study were charged with a moving violation contributing to the fatality accident. For motorcycle operators and riders and their families, the cost is high when other motorists drive negligently. In two-vehicle crashes involving a motorcycle, the people on the bike are much more likely to be seriously injured or killed, with nothing protecting their bodies from the severe impact. 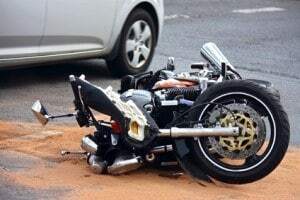 When a fatality happens to a motorcyclist due to the negligence of another driver, a wrongful death case may be needed to hold the person liable for the loss of life. On top of the enormous personal loss of a loved one to a motorcycle accident, there is also a financial concern as well. While grieving for their loss, family members face income instability within their homes. If the accident one's to the negligence of another driver on the road, they may be liable for financial compensation to the family. A wrongful death lawsuit can award damages to cover medical expenses incurred after the accident, loss of income and other intangible losses such as pain and suffering caused by the death. The wrongful death of a family member in a motorcycle accident leaves an emptiness in the lives of those left behind. In addition to that painful loss, there is also a concern for the financial well-being of the family. Spouses, children and even parents may have a right to file a wrongful death lawsuit against the negligent person responsible for their loved one’s motorcycle accident fatality. Our team of motorcycle accident attorneys at Rosenfeld Injury Lawyers LLC understands that it is a difficult time to pursue legal action, but we also know that the importance of acting expediently in these types of cases. We can fight the legal battle for you and offer a no-obligation consultation to explore your options. We invite you to meet with us free of charge and promise to respect your wishes regarding your loved one's accident and how to proceed. Contact us today!